Smokeshield Smokecloak is a worldwide proven security system and is the only true method of actually stopping theft! Thieves are fully aware of the long delays before the arrival of Police or Security and Thieves know time is their Strength. Smokecloak requires and instant reaction which forces them back out empty handed. 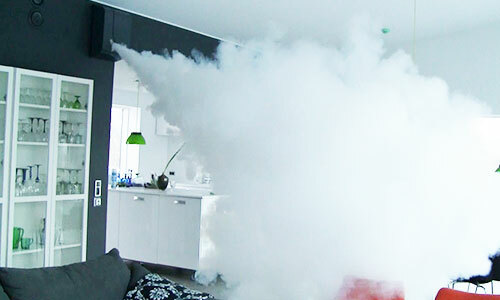 Smokecloak costs far less than one intrusion, with rental and finance available to approved customers. Only device which addresses the critical time/gap after a break-in occurs. Reduces visibility within premises practically to 0 in under 60 seconds. Rapidly forces the intruder from your premises. Impedes the thiefs ability to see and steal your goods.